Isn’t it always the way? You think you’ve finished a series or a project, only to be proved wrong almost immediately! In my case, I’d gone through all of the albums that I was still looking forward to during 2015 and thought I’d exhausted every avenue. It turns out that I missed a few. Therefore, here’s Part 3 in my ‘Essential Metal Releases Still To Come in 2015’ series. In my defence, news only came of a new Redemption album a couple of days ago. With guitarist Bernie Versailles recovering from serious illness, I hadn’t even considered a new Redemption album this year but, fresh from inking a new record deal with Metal Blade Records, the US progressive metal band have informed the world that a new album is currently being mixed. This is great news because the quality of this band’s music is sensational, full of complexity, emotion and melody. If you’re unfamiliar with Redemption, check out this more detailed article I wrote about them a couple of years ago: Unknown & Underrated – Redemption. Norwegian folk-tinged progressive black metal band Borknagar have always been a favourite of mine due to the fact that they always manage to write and record quality music that genuinely sounds like no-one else. With a unique vocal delivery, a penchant for intriguing melodies that shun the norm and with a flair for the epic, Borknagar delight with each and every release. It seems an age since the magnificent ‘Urd’ was released and with the band announcing that the master recordings are with Century Media Records, it’s entirely likely that the new album will be upon us before the year is out. TessaracT are one of those bands that were always on the periphery of my consciousness despite being one of the biggest names to emerge within the increasingly popular djent scene. However, the UK based metallers well and truly grabbed my attention with their last album, the sensational sophomore release ‘Altered State’. It blended the aggression of djent with more subtle progressive and ambient influences. The result was an album of huge proportions that challenged and delighted in equal measure. Scheduled for a September release, ‘Polaris’ is one of the most hotly-anticipated releases of 2015. I’m certainly looking forward to hearing it. 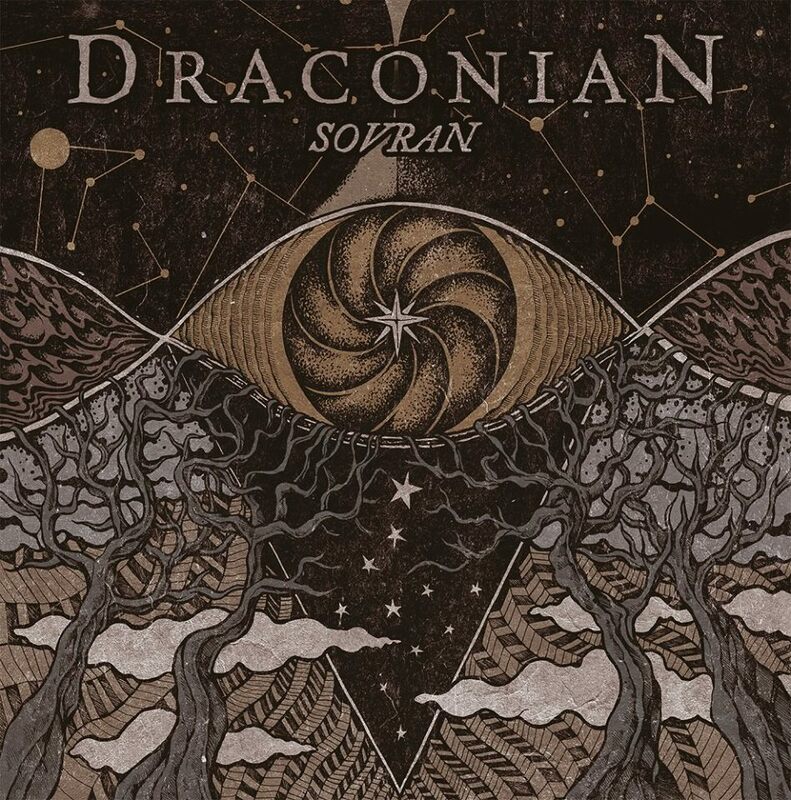 If melodic and Gothic doom is something you’re interested in, you’re bound to be aware of the name Draconian. The Swedish gloomsters cite everyone from Anathema to My Dying Bride and from Porcupine Tree to Katatonia as influences and these bands do indeed crop up from time to time within the compositions of Draconian. Theirs is a heavy yet relatively accessible style of music that’s as lush and lavish as it is extreme and confrontational. Huge atmospheres are created as well, which makes the music all the more engrossing. Listening to Draconian can be a melancholy affair but it can also be hugely rewarding at the same time. A few weeks ago, I had no idea that this band even existed. Thanks to the members of Haken waxing lyrical about the band on their social media pages, I felt it only right and proper to investigate further. 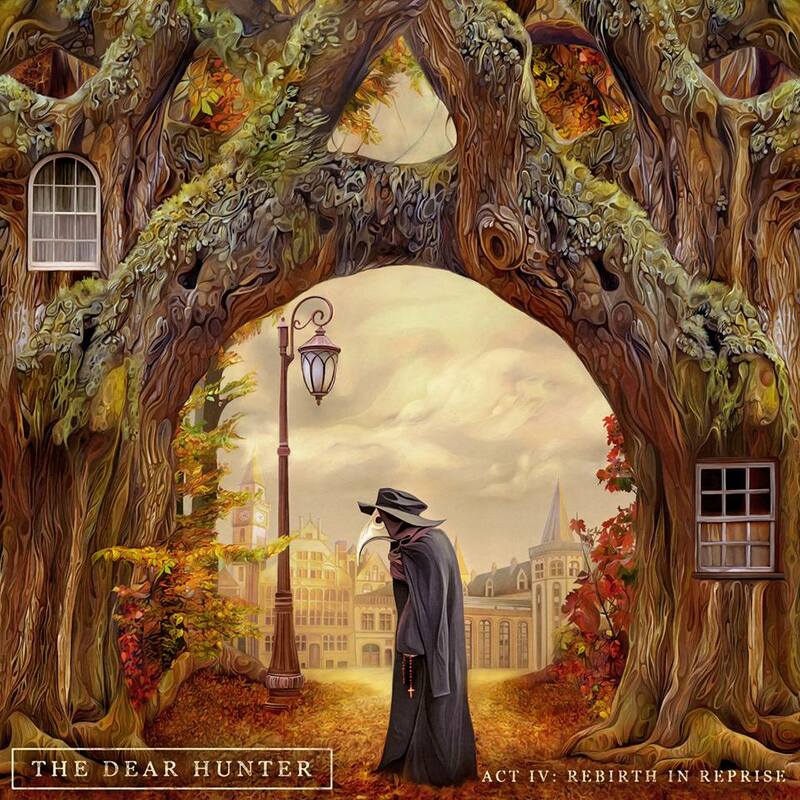 What I have subsequently discovered is that US prog rock band The Dear Hunter is an incredibly talented band that manage to bring together a vast array of different and apparently opposing musical styles and influences only to segue them together into a cohesive whole. I’m not sure how they do it, but they certainly succeed. Folk, prog, jazz, indie…you name it, it’s in there. Just have a listen to this track and tell me you’re not impressed. I’m not entirely convinced that we’ll see a new Swallow The Sun release in 2015. However, their social media pages would suggest that the band have been recording new material and, having announced that they have signed to Century Media Records, there have been a few cryptic comments about something being on the horizon, something different. The masters of ‘gloom, beauty and despair’ are a firm favourite with me and many others as they create some of most crushingly heavy yet stunningly beautiful and fragile atmospheric doom metal I’ve ever heard. If a new album is forthcoming before the end of 2015, trust me, it’ll be a reason to rejoice. Into Eternity have been a band I’ve always enjoyed. Admittedly, I’ve lost touch with the Canadian metallers since they parted ways with vocalist Stu Block, who has since joined US thrash titans Iced Earth. However, their 2004 album ‘Buried In Oblivion’ remains a firm favourite thanks to a winning combination of heavy, aggressive death metal, great song writing and some of the most addictive melodies heard from an extreme metal band. With a new vocalist at the helm in the form of Amanda Kiernan, a newly-inked deal with Kolony Records and a renewed fire in their collective bellies, it has been announced that we should see a new album in the autumn. I’ll be very interested to hear how it sounds and whether it matches up to their past output. When I was discovering the delights of black metal in my late teens, Hecate Enthroned were one of my favourites. They were heavily inspired by Cradle of Filth in that their compositions were full of Gothic theatrics, symphonics and more melody than you’d think on a first listen. The band turned all death metal on us in the late 90’s and since then, the output from the UK band has not been prolific. However, they are a band that always piques my interest when I hear their name mentioned and I remain hopeful for a new album sometime in 2015. Italian prog metallers Pathosray are a slightly different proposition to many of their peers in that they are certainly prog but not in the classic, conventional sense. Their compositions are full of the requisite complexity but they’re also full of snarl and bite and more chops than you’d find at a butcher shop. Their melodies are also interesting in that they’re not always what you’d expect. This makes their releases a challenge at times but ultimately very rewarding. It has gone quiet in recent months but the comments coming out of the Pathosray camp ahead of their third album and first for some six years have seriously captured my imagination. Alternative metal? Progressive metal? Avant-garde? Extreme metal? Whatever label you wish to place on Madder Mortem, they will still remain one of the most unique-sounding bands within the metal world. The band do not conform to the norm and this is to be celebrated. Their output can be challenging, quirky and occasionally downright odd. However, give the Norwegians time and your full attention and everything begins to make sense in a glorious way. Fronted by the irrepressible vocalist Agnete M. Kirkevaag, the first new album in around seven years, ‘Red In Tooth And Claw’, threatens to be a very interesting and exciting proposition. Yup, there are also new albums due from Iron Maiden, Def Leppard, Slayer and a number of other rather huge bands. I’m certainly excited about these too, but you can read about them in numerous places elsewhere. Instead, I wanted to focus on the bands that perhaps are in need of a bit more exposure than the big boys. TesseracT and The Dear Hunter: 2 bands I guarantee will be mentioned on my site in the near future haha But seriously, I’m interested in hearing Daniel Thompkins on the new TesseracT album. Will it be anything like Altered State, or back to the roots? I seriously knew nothing of The Dear Hunter until very recently & now I’m very intrigued by them. 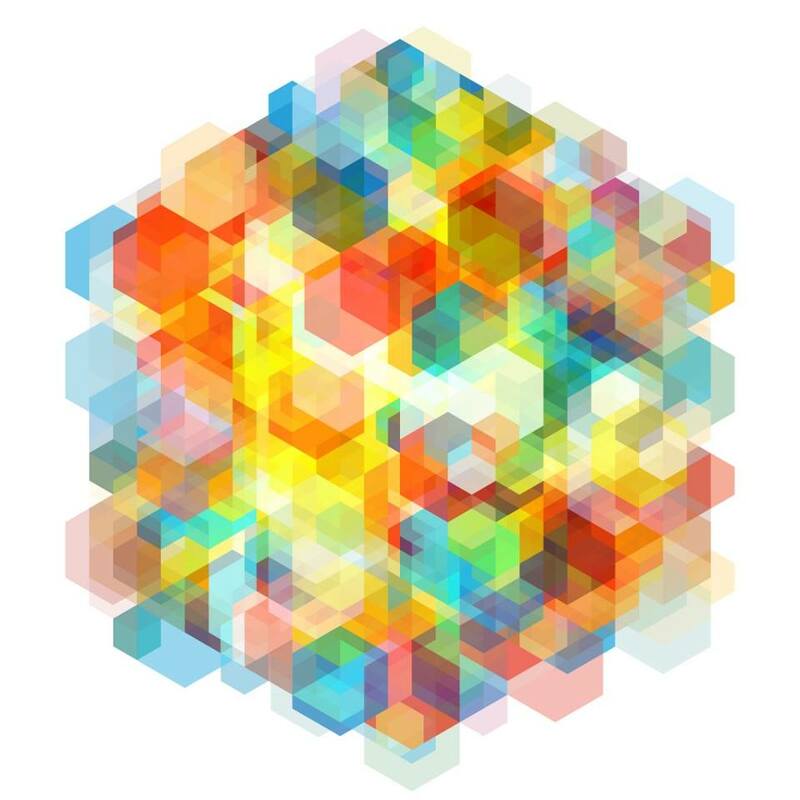 Regarding TesseracT, I hope Polaris is along the same lines as the last one as it was phenomenal. The Dear Hunter is a great change of pace band for me. Their style is so unique, I listen to them when I get sick of the things I currently listen to.